Make It Handmade: 3 Affordable Sewing Machines To Buy or Gift! 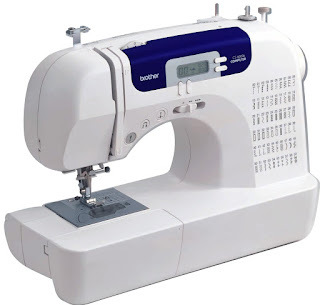 3 Affordable Sewing Machines To Buy or Gift! It's time for the first post in our "Favorite Things" series. I've moved to the US recently and have been thinking of buying a sewing machine. I love making quilts and would also like to start making dresses for my little girl who is 3 years old. Any suggestions as to which brand I should go for? Picking a sewing machine is confusing! I spent a lot of time researching before buying a new machine last year. If you are just starting out borrowing a machine is a great option (especially if it comes with some built in guidance!) 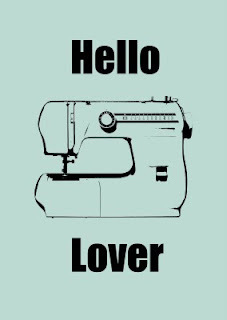 But if you don't know anyone that sews close by, I'd recommend buying an affordable machine to start with. Most full size, new machines on the market today (and all the ones listed below) will have a interchagnable feet, stretch stitches, free arm, bobbin winder, and feed dogs that drop, so we'll ignore those features for now. Easy to use-- ie, works when you turn it on. My first machine didn't have any of those features(especially the first one), and I feel that it cut my confidence and sucked the joy out of sewing. Every project included hours of frustration. I was so shocked when I got my new machine and realized--hey! It's not me, it's you! I sew on a Janome DC2010 and am absolutely in love with it. Although the DC2010 is no longer available the Janome DC2012 and DC2011 look to be the same machine with updated colors. They have all 3 features mentioned above, as well as an automatic needle up/down feature, which means that my needle always stops at the highest or lowest position. It's a sturdy, quiet machine, and has sewn through everything that I can throw at it. It's reliable enough that I can see myself using it for the next 10 years, and I whole heartedly recommend it. Full disclosure: A while back, I had a problem with my foot pedal. Janome fixed it for free, and I've been using it happily ever since. I have also occasionally used a Brother CS6000i (at my mom's) and think it's a really great machine. 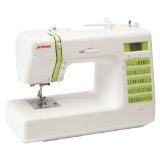 It has all the features of the Janome gets very good reviews around the web. It also comes with a walking foot and darning foot, so you will not need to purchase those. Although it's a bit smaller and noisier than the Janome, I believe this is the best bang for your buck on the market, and will last you for a few years until you are ready to upgrade. If you are looking for a machine under $100 dollars, I would check out the Brother 2600i . I haven't used it myself; but it is one of the only machines in this price range with a drop in bobbin and automatic needle threader. I think having these features will go a long way towards reducing frustration when you are starting to use your machine. And there you have it, 3 machines that won't have break the bank! Seena, I hope the new year finds you humming along happily on a new machine. I hope everyone has a wonderful weekend! Is anyone else hoping for something new for the holidays? This is a great post! My "backup" machine is the Brother cs6000i. It's not bad! As for my must-have beginner features, they're the same as yours! AND the machine needs to have easy-to-adjust tension. My first machine's tension setting was a complete mystery, and it made it so frustrating. Good tip about the tension-- I've only seen the dial type on these machines, so it should be ok. I totally agree about sewing a straight line. I can count on one hand that I've used the decorative stitches on my machine. I have the Brother cs6000i And I love it. I have made so many items on it. Curtians,doll clothes, quilts, and mending clothes. I wouldn't give it up ever .Unless it stops working. I can't afford a expensive sewing machines.And don't think I would want a high priced machine. And if you can't sew there is no use to buy a expensive sewing machine .Get a used or less expensive machine till you get use to sewing. I bought my 7 yr old granddaughter a used Brother and she loves it .And I bought a used one so she can get use to sewing.And if she gets tired of it she can put it a way . Great post (as always.) I love my Janome. How about sergers? What are your picks? Thanks Susan! I love my Janome too! A serger post is a great idea-- I'll have to work on that! Great post, Palak...I would also like to add that it is important to keep in mind if you plan to use your machines overseas, in other words, in places different from where you bought it. Not all machines are equipped to handle step-up/step-down transformers. For this reason, I went with Viking as they can handle different voltages and there is a chance I might use it in India. Also, how much of a workhorse do you want your machine to be? Singer parts are all plastic on the inside and so they will not stand up to extreme use over a long period of time. A metallic interior will be better suited for this purpose. So good to hear from you, Pavitra! I think that is an especially good point-- so many people travel and would like to take their machines with them. I don't have much experience with Viking/Huskylock machines and I didn't realize that they could take different voltages. How do you like yours? I'd love to check out the specs on that viking-- do you know what remember model you have? 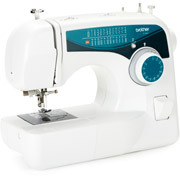 Zakalia-- These are the same machines I would recommend to an advanced sewist in this price range (<500). Frankly, that is the absolute top of my price range, so I don't have much personal experience with more expensive machines. If you have more of a budget-- my two 'want to haves' are a machine that does alphabets and one that remember my stitch settings when I turn it off. There are also machines that auto adjust tensions based on sensors, so you might want to look into that as well. I hope that helps! Thank you so much Palak! Yes, it helped a lot! Thank you so much for taking your time and writing such a helpful post! I am new to this and have no clue thanks for the post and what is a serger ? Oh! A serger trims and sews at the same time-- it's just a different type of sewing machine.